Maybe now you will have a whole new respect for Twitter. Many times before, I have written about the virtues of Twitter, never Facebook. They have two different purposes, though they get different bad raps. Simply put, if you use Twitter correctly you will read news first on this information feed and you will have the opportunity to talk to the news makers themselves. No other communications vehicle can offer you the genius of this short-form blogging. One of the biggest values of Twitter is the fact that it is live. The minute an event occurs, someone in the world posts information about it. Such is the case of David Eun, the Samsung executive who was one of the passengers on Asiana Airlines Flight 214 when it crash-landed at the airport in San Francisco. (A little side note. Eliot and I had a bird’s eye view of that runway from our Marriott Hotel room, 1122, on our monthly trips to our Redwood City office a decade ago. Eliot was so fascinated by the drama of watching the takeoffs and landings, he often stayed up to the wee hours of the morning). The Wall Street Journal quickly pointed out today that Eun’s tweets were the first signs that most people survived despite TV images of flames engulfing the fuselage of the wrecked Boeing 777. All of Eun’s tweets have been posted below so you can see the story unfold. He has been quiet today other than the last tweet. 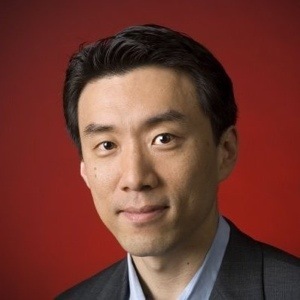 Eun is well known in Silicon Valley because he previously worked at Google and at AOL. Anyone who wants to learn Twitter, call me. @kccnn I don’t want to divert attention away from crash. Posted updates to let everyone know that majority of passengers seem ok.
At Terminal now. Very grateful I’m ok. Thanks for all your best wishes but please do not call me right now. Will keep everyone posted. Just went through customs. Adrenaline rush is subsiding. Just trying to process all this. Really glad that most everyone I saw seemed ok, with just a few minor injuries. Thinking a lot about family and friends right now. . . Feeling a little shaky from yesterday’s experience but strengthened by outpouring of support from all over. Reminded of how connected we all are. Mourning those who died or were injured. Thinking of two little boys who [were] with their mom. Hoping they weren’t too traumatized.